It’s the best car race in the world for many people: the Mille Miglia Storica. 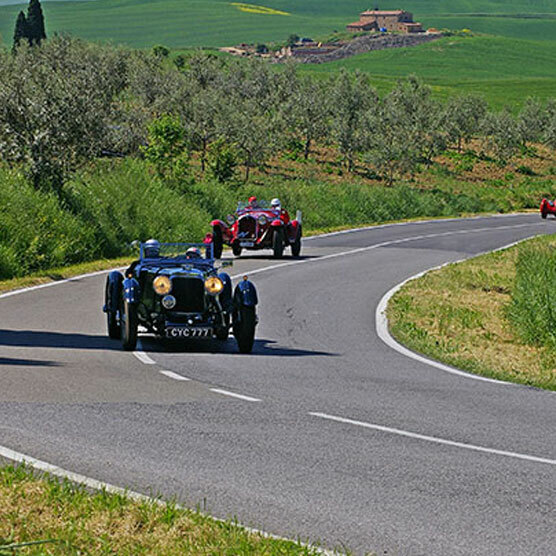 The route covers “Mille Miglia“, or just 1,000 miles (1,600 kilometres), from Brescia and Lake Garda to Rome and back. With a few exceptions, only classic cars from between 1927 and 1957 are allowed to take part in the race. This year’s classic will stop off, among others, in Siena and Vinci– both places no more than an hour’s driving time from Tenuta delle Rose. We captured a few impressions for you last year. You can take a look at them here.